Just a quick update. The concrete seems to have cured nicely. 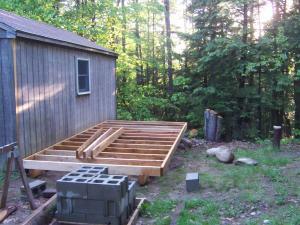 Over the weekend, I fastened the beams to the concrete, and build the deck on top of the beams. I still have to trim the spacer boards between the joists, to keep them from flexing down the road. It was very rainy today so I didn’t want to get the power saw out. Next step is to cut and install the spacer boards. Then, I need to order the floorboards and install those. 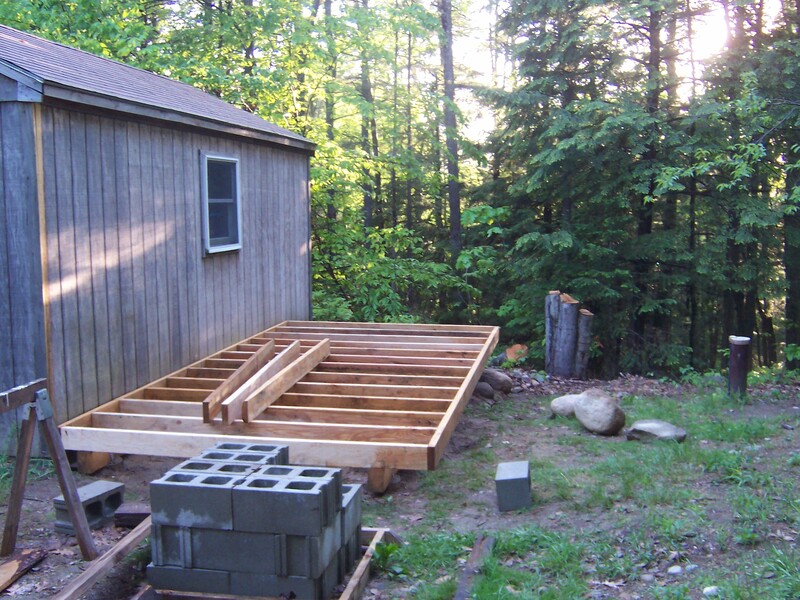 Once the floorboards are in, it’s wall-framing time! I’m also building a treehouse for my daughter, and it’s very nearly at the same stage as this (need to get floorboards). I’ll likely get all those floorboards at the same time.